Designed for small or medium network environment to strengthen its network connection. 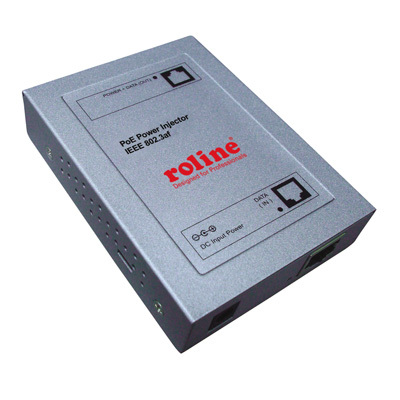 This Power over Ethernet injector combines 48V/DC power and data. Data transfer complies with IEEE 802.3af. It is used for workgroupswitches, network-cameras, access points, IP-phones.